Any fisherman knows that the sport of saltwater fishing is much more than just a hobby. It takes time to get the basics of saltwater fishing and years to master the sport. There’s a lot more involved than just tossing a line into the water and hoping for a strike. Aside from learning which rod, reel, line, and other gear to use, you also need to understand the nature of the fish you plan to catch. Where can you find them: around structures or deep on the ocean floor? What waters are they most likely to be in: rough or calm, shallow or deep, hot, or cold? What time of year is best to find them? Finally, what bait is going to tease them onto the hook for the strike? To choose bait, you need to know how to mimic your target’s prey. To get you started on the right track, we’ve put together this how-to guide to help you choose the best saltwater live bait that will get you the strike you’ve been waiting for. Find a quick run down of the top four saltwater fishing baits here. Redfish are a great saltwater game fish. They have strength and stamina, that offer fishermen long runs and make for a challenging and satisfying catch. Most anglers have the best luck with these fish along shell bars, rocky or grassy shorelines, on shallow flats, or in the surf. They’re ravenous feeders, so you’ll find that you can do well with natural live baits targeted to the habitat you’re fishing: such as shrimp and minnows in shallow coasts and Pinfish or Mullet in deeper waters. Keep in mind that Redfish are going to rely on their sight in clearer waters and their sense of smell in murky waters. This fact will affect your choice of live bait. Blue Crabs are an irresistible primary prey item. Present a whole, small blue crab in clear waters or half of a crab in murky conditions. 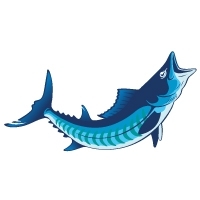 Mullet are fantastic natural bait that can be used live or cut. These bait fish travel in large schools and can be found in virtually any habitat, making them an excellent bait fish. To increase your odds at a strike, use Mullet in better water quality. Shrimp are common live bait, which means they can be eaten by anything while they’re on your line, but if you have some readily available in murky waters they make easy bait for Redfish. Just pinch off the tail or head, hook it on the line and cast it out to attract the fish to the scent. Grouper are an excellent game fish for any angler seeking out a good fight. You can typically find them near structures, so seek them out around natural, patch, or man-made reefs offshore, or near ledges. 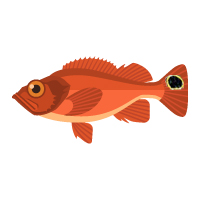 If you’re fishing inshore, check near shallow and artificial reefs, deep bridges or hard bottoms. They’re opportunistic predators, which means you’ll have luck using a variety of live baits including fish and invertebrates. With Grouper, just remember big mouths mean bigger baits. You can usually catch the bait yourself, or find what you need at a bait shop. Spanish or Scaled Sardines are shiny, oily, and squirmy; the perfect bait. They’ll work live or frozen, but you need them to be large enough (between four and ten inches) to work as Grouper bait. Squid are smelly, great-tasting, and reliable bait. You’ll want to cut them into three to four-inch chunks when you cast, or use them whole for trolling to get a strike near a habitat. 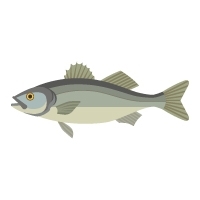 Pinfish are go-to bait for many anglers looking to get strikes fishing in shallow water. They’re lively on the hook and make “grunts” that will attract Grouper to your hook. You can typically catch these fish yourself, so look for Pinfish between four and ten inches to get the best results. Mullet are also easily found, and make great bait for bottom fishing and slow trolling. Blue Runner make excellent bait for big Grouper, especially when you’re trolling. Use them between six and ten inches to get a strike. Red Snapper are heavily targeted by anglers, because they’re easy to catch once you know how, and can be found year-round if you know where to look. The best time to catch a Snapper is summertime, when they’re more concentrated for spawning season; however, if you have the means to go into deeper waters (60 to 200 feet) you can find them any time of the year near reefs and structures. Since they’re a predatory fish, you’ll have the best luck with natural bait, like smaller fish, that can fit in their mouths. Cigar Minnows are easy to catch and usually around four or five inches long, the perfect size for Snapper. You can use them frozen, but when you use them live they’re hard for Snapper to resist. 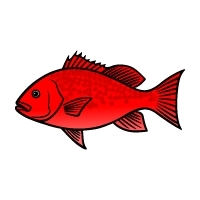 Pinfish are great for Snapper for the same reasons they’re great for Grouper. They’re easy to find and will keep your hook lively, “grunting” to attract nearby Snapper to your line. Threadfin Herring are difficult to resist because of their size (four to five inches) and shiny scales. You can find them in local bait shops, but they’re relatively easy to catch on your own with shrimp. Mullet are all-around great bait for game fish, Snapper included. They’re available year-round and easily netted in shallow waters. Squid are part of the Snapper’s natural diet, so they’re an excellent choice of bait to get their attention. You may not have much luck finding them live, but they’re readily available frozen in bait shops. Other Live Baits for Red Snapper: Any shiny fish between four and six inches long, including Sardines, Blue Runner and Menhaden. Wahoo get their name for a reason; this is a fun game fish once you get one on your line. They’re fast and make for a great fight. This structure-oriented fish is unpredictable and it’s hard to know when they’ll show up. They tend to be found in warmer waters, along weed lines, near natural peaks, oil rigs, current rips or wrecks, or beneath debris. 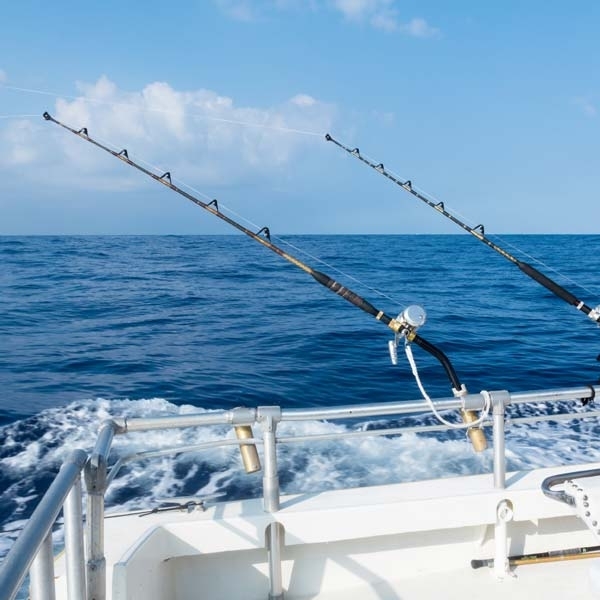 In recent years, anglers have gotten the best strikes by bump-trolling, high-speed trolling, slow trolling bait with the help of outrigger holders, or casting live bait around offshore structures. The key is water clarity. You won’t find Wahoo in murky water, but you will find them in choppy seas. Like Grouper, they’re opportunistic feeders, so they’ll eat virtually anything that won’t eat them first. Cobias are aggressive fish, making them a prized catch for many saltwater anglers seeking a memorable fight. At well over 100 pounds, they’re one of the best fighting fish you can catch, and they’re readily accessible for many anglers. You can typically find them close to shore, with their habitats along nearshore beaches, seagrass beds, reefs, and inshore structures like bridges. A key to getting a strike with Cobia is getting one to go for your live bait. Once the other Cobia sense the competition for food, it will send them into a feeding frenzy. To make this happen, try wounded bait so it can’t get away as easily. 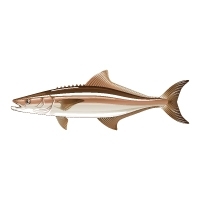 This will help keep it in the strike zone as an irresistible prey for the Cobia, or “crab-eater.” As its nickname suggests, the Cobia’s natural diet includes crabs, eels, shrimp and other fish like Pinfish, Mullet and Menhaden. So a combination of these baits will work well in most instances, but a good rule of thumb is to catch whatever bait fish are in the area since you know the Cobia will be going for those. Just watch how you present the bait on your line, as Cobia have excellent eyesight. Blue Crabs are the best bait for getting Cobia to strike. 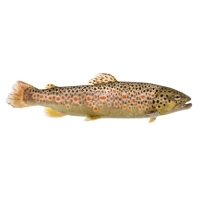 They’re excellent in nearly any circumstance, from floating to sinking, and can be used anywhere you find the fish. Eels are effective along beaches where they can’t find structures to hide for safety. They aren’t a cheap bait option, but they’re definitely a fantastic choice for landing a strike. Mullet follow a similar migration pattern to the Cobia, so they’re a natural prey for the fish. Pinfish will find the most success when casting for Cobia in seagrass beds in estuaries along the coasts, structures, reefs and wrecks. They’re a natural prey for the fish and will be easy for you to find out on the waters. Shrimp will find you success with many fish, including Cobia. Just use some judgment to make sure you’re using larger shrimp or you’ll lose your bait to smaller fish. Speckled Trout are a favorite of saltwater anglers. They’re a good, hard fighting fish that makes for exciting strikes in the sounds and in the open oceans. To find them, you want to look for moving waters, such as tidal or wind currents, or where moving waters bump into still water (rip lines or edges). They prefer low-light conditions, so look for them in deep holes, around bridges, or rigs in local waters along the gulf coast. Speckled Trout are a mix of feeding types, so they’re fun to target with a variety of different baits that can get you the strike you’re looking for. Since they’re in the same family as Redfish, you’ll want to target them in a similar fashion by free-lining or drifting out to their habitat. The best, and most common, technique used to catch Salmon is trolling, preferably in a boat so that your bait never stops moving. This is key for Salmon as they are constantly on the move; since, live bait moves on its own, it can match the movements of the fish to attract it to your line to get the strike. Most Salmon fishing takes places near the bottom of the ocean floor, so you may want to consider adding weights or divers to your line to get the bait deep enough. Since the bait will deep, it will be in darker waters. Using something that flashes will get the Salmon’s attention more quickly, and increase the odds of landing a strike. 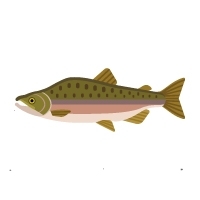 The fish are attracted to many different types of bait, so when you’re fishing for Salmon you’ll want to focus more on your technique than bait. The following are common baits with high success. 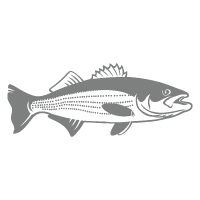 Striped Bass have a reliable migration pattern, so choosing live bait is going to rely heavily on understanding when you’re catching the fish, more so than where. Just keep in mind that no matter what time of year it is, Stripers can be picky fish, so don’t get disheartened if you cast your line without so much as a nibble. Quality Stripers are going to go for the real bait more than the artificial, so choose your bait wisely and you’ll find yourself landing a strike in no time. Eels are tough live bait that will stay on the hook, alive, for quite some time. They’re versatile, so you can cast them out in different places, like inlets or over rips, to see if they’ll attract the fish. They don’t need to be kept in water, so they’re easy to store in your kayak or on your boat as low-maintenance bait. Just keep them cool to keep them alive; this will also prevent them from squirming as much as you get them on the hook. River Herring will be your go-to Spring bait for Stripers. They love to eat Herring. This bait is easily caught with nets and stored in aerated containers. Use them in rivers where Stripers are spawning and you’ll get a strike. Live Bunker are going to be your Fall bait for Stripers. You can find them near the surface of the water or close to the beach, and you can catch them with a bunker-snagging-rig. Adult Bunker will be reliable bait in the Spring and early Summer, when the Stripers migrate north, and in the fall, when they go south. You can catch them the same way you catch Live Bunker. Mackerel are large fish, and they fight hard, so it’s no surprise that they’re a very desirable game fish for saltwater anglers. You’ll have the best luck searching for them around structures, such as oil rigs. While you can catch them with a variety of baits, both live and artificial, the pros will tell you to use live bait to get the best strikes. Atlantic Menhaden are easy to find in the Fall since they travel in large schools, which the Mackerel are more than happy to follow. You’ll have success with this bait, but for the larger fish you want to try other live baits, like Blue Runners, Bluefish or Mullet. 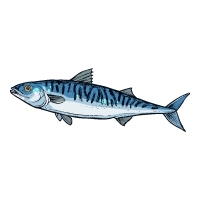 Blue Runners are arguably one of the best live baits for Mackerel, and can be found pretty much anywhere so it’s an easy bait to collect on your own. In general, most live bait can be found in the same waters where you’re fishing for the bigger game fish. Bring a cast net with you in your kayak or boat so you can cast out from your casting platform for bait fish when you see a school, and keep the bait alive in 5-gallon pails with aerators. If you’re ready to get on the water and go straight for the big fish, you can usually find the bait you need in a local bait and tackle shop.